Glass jar with plastic lid. Recyclable. This was the first product I tried. I went on to order more, but this remains my favorite. It works as a gentle scrub. The scent is light and pleasantly sweet. My favorite thing is to put it on when I get in the tub, soak and rinse it off when I’m getting out. My favorite use is as a cleaner or mask when I’m traveling. I hate that dried out feeling I get in a hotel. The face wash is a treat and the travel size is generous. Just a great product that leaves my skin feeling hydrated and sensual. OMG best face wash hands down. Love how it feels and moisturizes face. Combine with Day/Night Serum and works even better. Smells good and even taste good! LOL I would recommend peeling all labels off. Once papers gets wet, if crumbs into the face wash on your hands. 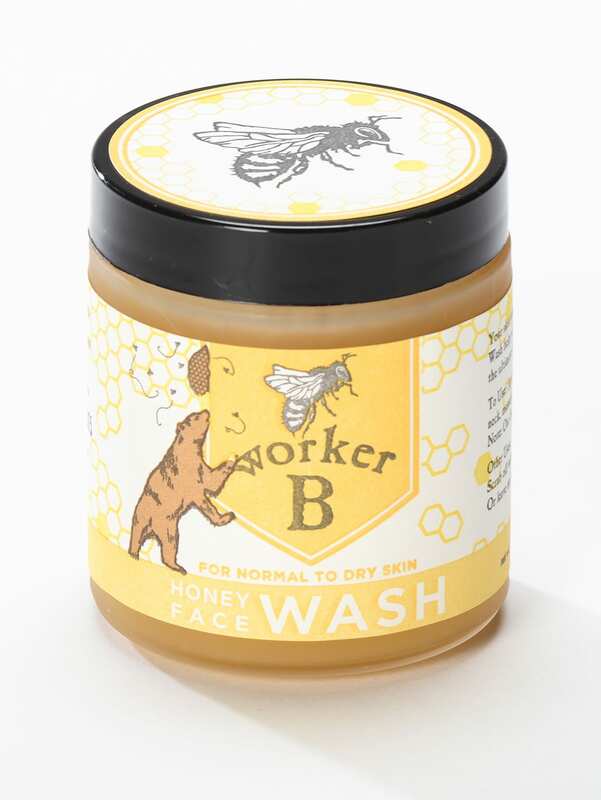 I have been using Worker B Raw Honey Face Wash for Dry to Normal Skin for over a year now and it is by far the purest, natural cleanser I’ve used and it leaves my skin moisturized and soft I couldn’t be more pleased. The shipping is prompt too! I love this face scrub. It keeps my skin fresh and clean. 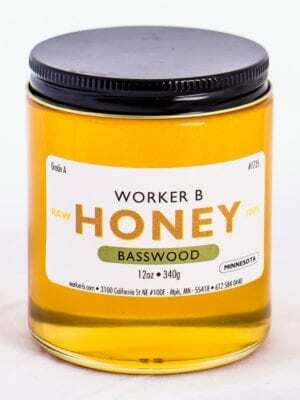 Plus the honey is so moisturizing. Thank you for making such a great product. This product is amazing!! To start, it smells great (obviously). I picked up a small size, and regret not getting a bigger one. I left it on for 30 minutes as a face mask, and it made my skin softer than it has ever been before. My skin was incredibly moisturized afterwards. This price point is awesome for the quality of the product- I have tried products that are twice as much or more from places like Sephora that don’t work nearly as well. I absolutely love the face wash. My skin has been breaking out and dry and nothing has worked. The facewash cleared up my skin without drying it out. My face has never felt so soft. This is the best face wash I’ve ever used. This had helped tremendously with my cystic acne. A little goes a long way and the jar will last you for months. Will definitely repurchase. I’ve always had sensitive face skin and maybe I should say problematic with break outs, so I tried different washes and cremes but always wanted to find a natural product. This is it! Using the face wash for dry to normal skin really helped me get a better looking & healthier face skin. It doesn’t cause break out but exactly the opposite, it calms my skin down and makes it so soft and healthy looking! My face feels better moist and glowing. Sometimes I don’t even need a face moisturizer because my skin feels balanced. At first I used the wash for oily to normal skin, but now I switch it for the wintertime with the one for dry skin. Combining it with the dawn serum also really helped to get the night care I needed for my skin. I thought the oil might give me break outs and clogged pores, but it actually never had problems. I even recommended this brand of products to my girlfriends and family. 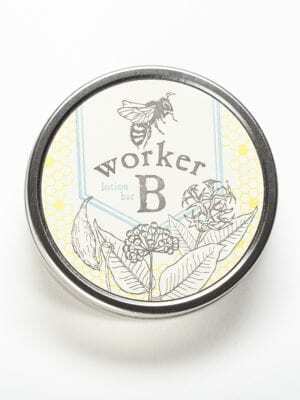 Thanks Worker B! Keep doing what you are doing! I have to tell you… I don’t usually use a lot of soaps and washes… I have a natural loofah I use with mainly water and a little bit of organic body wash. I rarely use anything other than water to wash my face, mostly because I have never found anything that works and doesn’t dry out my skin or leave it feeling gunky. I have fallen head over heels for your face wash! It is AMAZING. 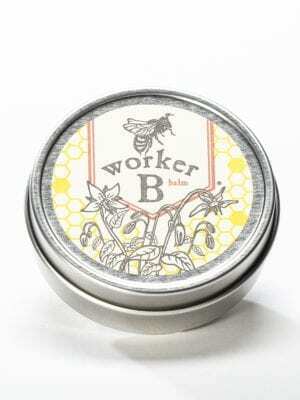 I have used it every other day this week and it leaves my face feeling SO soft and… rejuvenated! I want to thank you for creating such an incredible product… you have certainly found a new customer! It was great talking to you at the Stone Arch Festival. I love my new honey face wash!